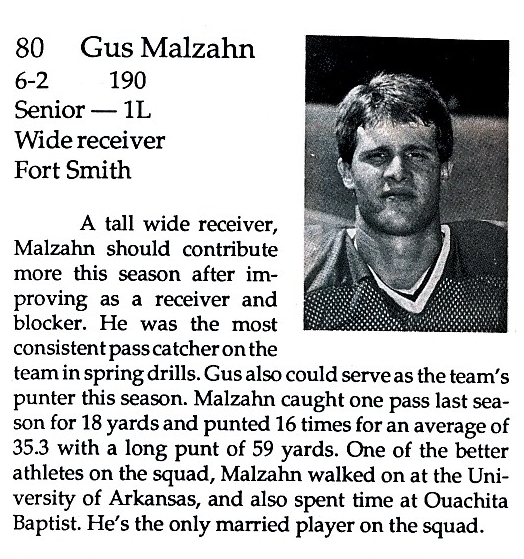 Gus Malzahn: Offensive genius, family man, DII dynamo. 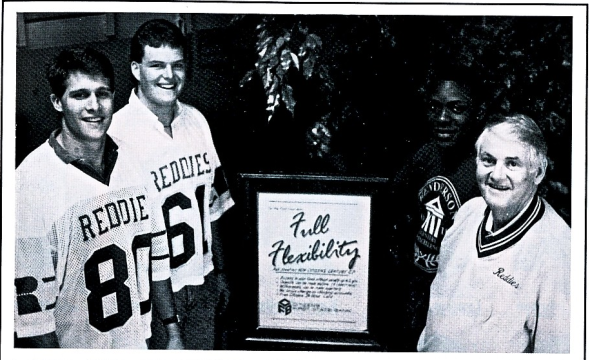 Yep, a two-year letterman (1988-89) for the Henderson State University Reddies. But don’t just take Wikipedia’s word for it—here’s the writeup on the Reddies’ “most consistent pass catcher,” only married player, and punter (!) in the 1989 Henderson State media guide. The media guide says his longest punt in 1988 was 59 yards. But HSUSports.com says he had a 64-yarder in ’88 and another in ’89. Gus told us in 2010 that he “finished strong” as a college student. But he left out the handsome. 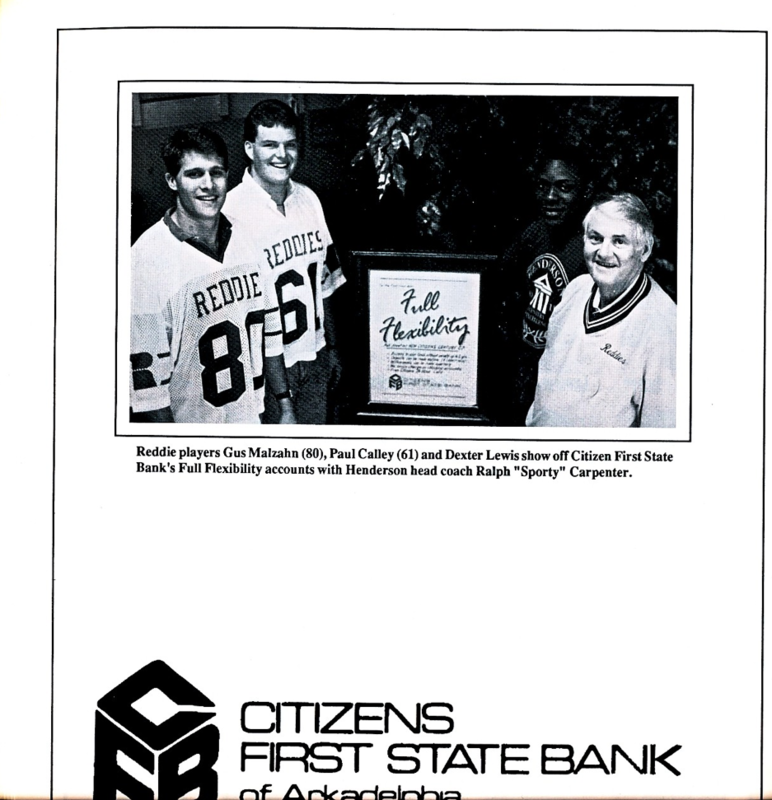 Here he is in the program for the 1989 University of Arkansas Pine Bluff game. Dude has to be the most consistently photogenic coach in Auburn history. Related: Gene Chizik at the 1982 Chi-O Woodser.